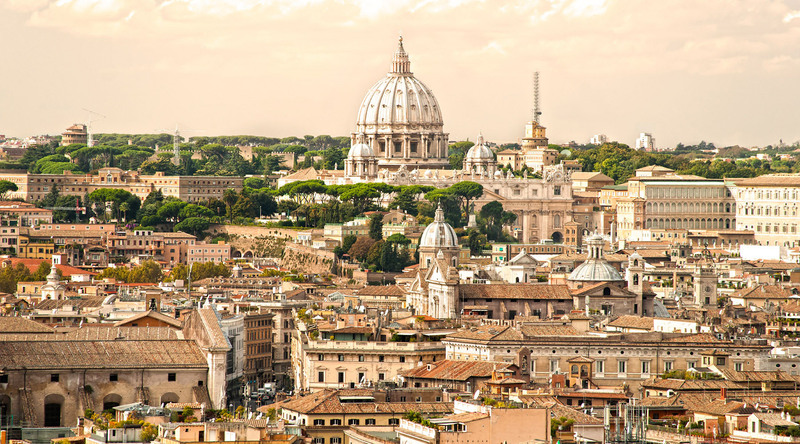 Rome, the eternal city, the center of the world for millennia, certainly is a must see place that should be front and center on everyone’s bucket list. Rome has it all. Rome has history; in fact, Rome is history. Rome has sites that no other city can approach. Rome is the heart of the world’s largest religion and Rome is the culinary capital of the world. Rome is eternal. I first visited Rome in November 1998 and was floored by what I was seeing before me. As an impressionable kid of 20 years old, I was certainly impressed. It wasn’t exactly what I imagined it to be. Rome was dirty, complex, confusing and frenetic. One of my taxis actually got in an accident because he was driving like a maniac. But to be honest, that made me love it more. Back in 1998, I got up early one Sunday morning and went to see a service at St. Peter’s where Pope John Paul II was to give mass. I am not religious at all but I will never forget that day. I saw the power of the Pope firsthand by watching peoples’ reactions to him touching and blessing them. I had never seen anything like it before. That visit to Rome and the Vatican, was the first time I had ever seen anything so powerful. I have since been back 6 other times and each time I love it more and more. I was there last summer before my first Azamara cruise which left from outside Rome. I went back to the Vatican and saw Pope Francis and watched his entirely different approach with equally powerful results. It was incredibly moving. Rome is also an amazing city to get lost in and stumble upon picturesque piazzas and sample food and gelato for days on end. There is no shortage of amazing places to eat in Rome and my favorite area is Trastevere. As you stroll over the Ponte Sisto into Trastevere, you will be overwhelmed with restaurants and while there are many good ones, try Taverna Trilussa. It is hands down my favorite restaurant in Rome and it may actually bring a tear to your eye! Seeing the sites in Rome is a must, of course. However, try doing it a little different. Take a night tour of the Colosseum with a company like Walks of Italy. They can get you access that you wouldn’t normally be able to get. It is really worthwhile. Another suggestion is to take a walking tasting tour. The excellent guides can show you hole in the wall places you wouldn’t normally visit. You can also make your own pizza and sample everything from olive oil and truffles to cappuccino and meats. If you’ve never been to Rome-run! If you’ve been before, go back and re-experience this wonderful city. Feel the buzz, feel the history, and feel the power: for Rome is eternal! See all voyages for Civitavecchia (Rome), Italy. See more of Lee’s great photos and stories from Rome here.